When the young child in your house breaks the rules, do you find yourself frustrated and confused about the next step to take? The key to creating better behavior at this tender age is to begin teaching your child the concept of consequences. There’s no better time than now to help your kids understand that their behavior, both positive and negative, has an effect on others. Keep reading to discover five helpful tips that make giving consequences to easier and less painful for everyone involved. One of the hardest parts about being a parent is that sometimes we have to be “the bad guy” who makes decisions that our children are going to hate. This can be very difficult for many parents, especially if you had overly-strict or even punitive parents growing up. You may want to be kinder, more loving, and less rigid with our own kids. There’s nothing wrong with lavishing children with love and attention; that’s a natural and wonderful part of being a parent. Sometimes, though, it can be hard to know where to draw the line with your kids. Understand that it’s crucial to set the necessary boundaries that are needed to reign your kids in when their behavior is inappropriate. The first step to creating consequences that stick is to acknowledge that this isn’t always going to feel good–and in fact, there may even be moments when you feel worse than your child. The hard truth is that sometimes giving consequences makes us feel bad when we see that our kids are upset. But even though it doesn’t always feel good for us as parents, know that setting reasonable limits and giving consequences for poor behavior is the right thing to do for your child. Consequences are an absolute necessity for the world we live in, not just for our kids, but for grown ups as well. As adults, we all have to face consequences for our actions on a daily basis, in a multitude of environments. For instance, a positive consequence for doing your job well is that you may get a good review and a raise. If you don’t show up and do your job, however, the consequence may be getting fired. The point is, there’s no avoiding consequences, so it makes sense as a parent to begin teaching this important concept to your children starting now, when they’re young. Another benefit is that in doing so, your kids will grow up feeling safe and secure. When kids act out, they’re often saying to their parents that they’re out of control and want to be reigned in. When you provide a consequence for your child’s actions, you’re essentially telling them, “I love you enough to say ‘no’ to you right now. I want you to be safe and to protect yourself.” Nothing feels safer to a child than having a parent who cares enough to set limits. The first thing your young child or toddler needs to know is what you expect of them. Even though it’s a big word, explain what a consequence is. Keep it simple: “A consequence is what happens after we do something good or bad.” Give your child examples of a consequence from your own life, such as “If I touch the stove when it’s on, it hurts my finger.” Or, “If I’m not nice, the consequence is that I may not have any friends.” Tell your child there’s a consequence for everything we do, especially for how we treat others. This can help lead the conversation towards using consequences for your child’s behavior in your home. You can begin by developing an age-appropriate list of your house rules. Children as young as two are able to understand the basics, which might include “No Hitting” or “No Biting.” Older children (ages 3-7) can help you create a list of house rules that can be hung where everyone can see them. Next to each rule, list what the consequence will be when the rule is not followed. Explain to your child that from here on out, everyone in the family will be following the rules and the consequences that go along with them. For children 5 and above: The EmpoweringParents.com staff has also developed a helpful “Consequences List” and set of free downloadable charts that you can check out, full of helpful tips and age-appropriate examples for kids from the age of five to seventeen. The beauty of having a family list of rules and consequences is that when your child breaks a rule, you have the consequence right in front of you and can say, “Hmmm, it looks like you broke the ‘no hitting’ rule. The consequence is sitting alone.” This takes all the emotion and anger out of the situation, because you don’t have to think on the spot, “What do I do now?” or “What would an appropriate punishment be?” Simply point out the consequence listed and you are done talking about it. Of course your child may decide he doesn’t like that consequence and a tantrum may ensue. In this case, having a back-up plan helps. Say to your child, “I won’t talk with you when you are acting this way. You need some time to calm down,” and guide him to his room or other designated safe area until the tantrum subsides. There are numerous roadblocks that should be avoided when you are giving consequences to your young child. First, many parents have expectations for their child that aren’t reasonable. A parent who expects their highly energetic, rambunctious three-year-old to sit quietly through story time at the library and then gets angry when she doesn’t isn’t being fair. If you know your child is unlikely to be able to follow through on something, don’t put her in a position to fail. Instead, know your child’s strengths and weaknesses and adjust your expectations accordingly. Likewise, having a long, drawn-out discussion with a four-year-old around why you are upset that he’s biting kids at his playgroup is useless. Kids this age are not remotely interested in your lectures. In these situations, simple is better. Saying something like, “We don’t bite,” and then giving a consequence is the best course of action. Second, decide upon one or two consequences for each rule broken and stick to them. For instance, four-year-old Gracie was hitting kids at her pre-school. Her mom, while well-intentioned, was approaching her hitting with several solutions, none of which was working. Yelling, bribing and discussing her actions at great length would simply be confusing to a child. It’s also important to realize that kids are geniuses at knowing when their parents are waffling and not confident in their decisions. Approaching your child with confidence and a consistent consequence each time is your best line of defense. This is part of the reason why the number one way to teach consequences that stick is to be consistent. Consistency is a parent’s best friend and will go far in teaching your child the importance of consequences. Gracie’s mom, not knowing how to adequately handle her daughter, was inconsistent with her consequences, using yelling as a deterrent one day, then bribing her the next. The result was that the behavior only got worse. If your daughter bites one day and has to go to bed 15 minutes early, but then the next time she bites, you give her a lecture, it’s highly unlikely she will learn to take you or your consequence very seriously the next time you try to enforce one. When you consistently follow through with the same consequence, your child learns you mean business. And that’s when you witness behavior change. We’ve all read stories in our local news about the teenager who is in and out of jail for continuing to commit crimes, or the drunk driver who’s had four previous convictions but is still driving. We get frustrated when we see these stories because we wonder, “Why hasn’t this person ever had any long-term consequences for their actions so they can stop?” These stories illustrate the importance of consequences in our daily lives. Giving consequences to a young child is rarely fun or easy to do; kids have a way of making us feel guilty or mean when we implement them regularly. The important thing is to not buy into the emotionality of the moment, and instead stand firm as you apply what you know. Even though your kids will probably never admit it, they want you to help them through these tough years as they grow up, go through school and learn how to navigate social relationships as teens and young adults. 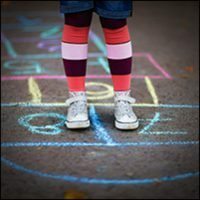 Providing consequences now doesn’t just help your child get through their young years successfully, but also gives you the opportunity to lay the groundwork that is an absolute necessity for them to make it in “the real world” when they’re adults.